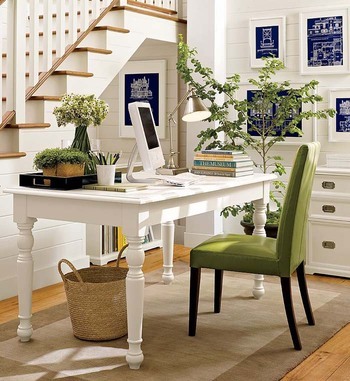 Office decor can have quite the dramatic effect for your business. Your office’s decorations, or lack there of, directly impacts employee productivity, happiness and even absenteeism. Giving your office a stylish makeover will also significantly impact the perception of your company by visitors, especially potential business partners or job candidates! First impressions matter a great deal, and a person’s surrounding environment directly impacts their productivity. 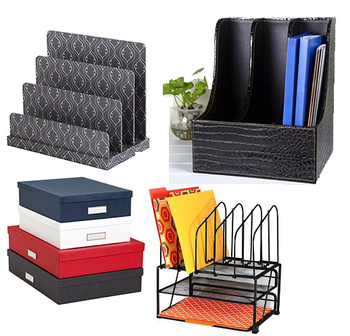 Step one, invest in folders, filing systems, desk organizers, boxes- anything to prevent random stacks of paper. Not only will this likely reduce confusion, and time wasted sifting through piles of paper searching for the justify document…but this strategy will also make your employees feel more organized and less stressed. Keep this office decor mandate under budget by buying your materials in bulk. You can immediately iIncrease the appreciation of these new sorting systems by letting your employees pick colors they like. Even if you don’t have a kitchen or lounge area, you should find a corner or a spare room to create a nice “break room” for your staff. Research has repeatedly shown that giving staff occasional break, wholly away from their work and desks, dramatically increases overall productivity. 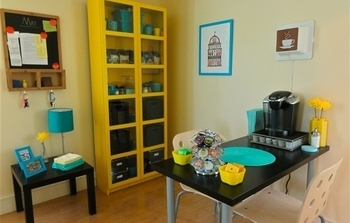 Ikea offers many inexpensive furniture options that will fit any business’ budget! Many offices institute a set “lunch hour” to encourage employees to actually step away from their desks. Not only will giving your employees a true break from working improve their day to day performance, in the long run it will prevent burnouts and turnovers. Two recent prominent studies has discovered that having a live plant on your desk increases productivity and cognitive attention. On a less measurable scale, the studies also found that the presence of plants led to increased happiness amongst the office staff. Try adding easy-to-maintain plants like succulents. Some of the best plants for indoor use include Pothos, Aloe, Spider Plants, English Ivy, Rubber Trees, Jade Plants, and Snake Plants. 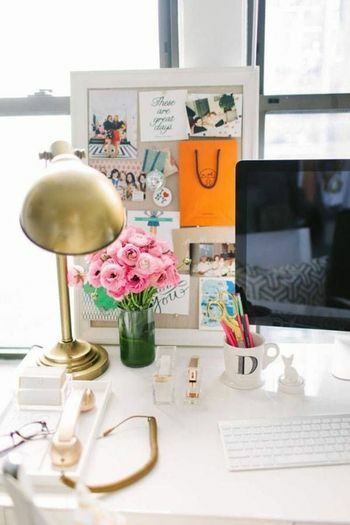 Encourage your employees to style their desks with things they like. A little bit of office supply budget spent here will go a long way when it comes to employee happiness, productivity, and less absenteeism. Give your employees $100 or so towards desk supplies. Having stylish lamps, funky pen holders, or a usb coffee mug charger will make the whole office look great too. Don’t forget to add personal touches of your own too! Hang framed prints of the company logo or other fun branded memorabilia. Take a note from some of the most success creative brands out there- have a dream board in your office! 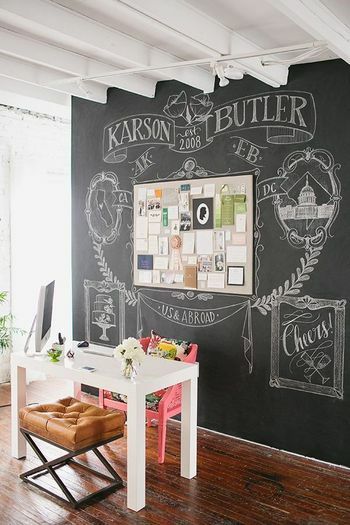 This can be a whiteboard, cork board, or even just a dedicated section of the wall. Have you employees (you too!) pin dreams, goals, hopes and wishes for the company’s future. They can even be silly (free lunch every day, or our own personal chef). This is a great way to gain insight into the minds of your employees and it will serve as daily inspiration to everyone in the office when the going gets tough. Photos always make for a nicer looking dream board, so include them if you can!